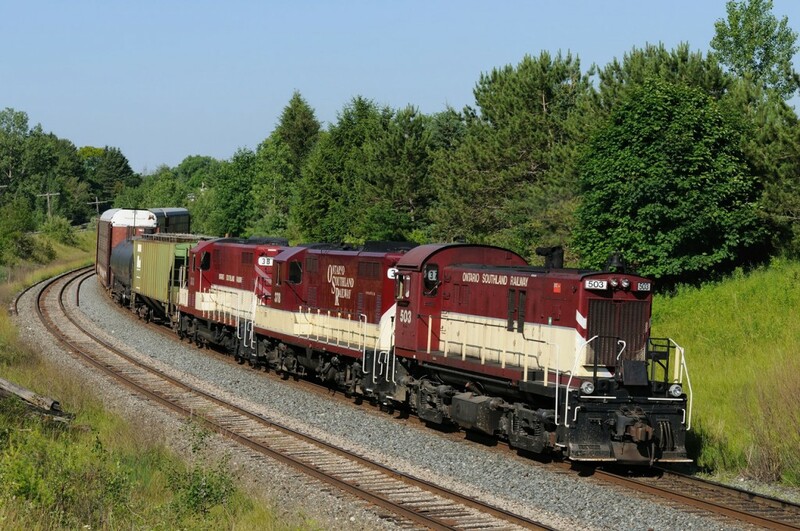 Railpictures.ca - Jay Brooks Photo: OSR 503 passes through Coakley while lifting autoracks at W Coak. | Railpictures.ca – Canadian Railway Photography – photographie ferroviaire Canadienne. Caption: OSR 503 passes through Coakley while lifting autoracks at W Coak.